Queens is the second most populated area in New York City. It was established in the year 1683 as one of the original counties of New York. 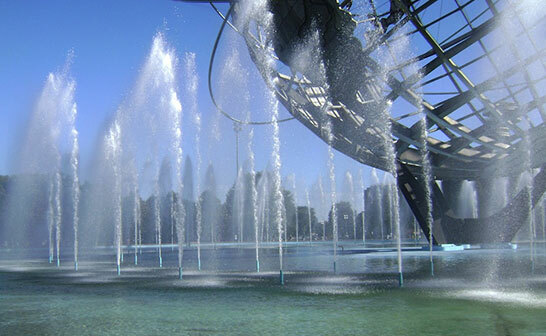 The county has various attractions including, Flushing Meadows Park, Citi Field, and more. The location is home to many industrial and commercial units. Every business operates differently, but fire safety is a major point of concern for all types of facilities, and is regulated by law. All businesses need to ensure that they are operating in units that are up to the latest local fire codes. You can hire fire safety services from Hird & Co., a premier fire equipment distributor in Queens to safeguard your business from burning to the ground, and being subjected to penalties for not being up to code. We are actively engaged in providing fire safety equipment including fire line and architectural cabinets, fire extinguishers, and Fire suspension systems to minimize the loss due to fire, and ensure your facility meets all of the required standards for fire safety. We have a team of skilled and professional individuals who have hands-on experience in fire safety, as well as extensive knowledge of all local regulations. Our dedicated and hard-working team works around the clock to meet project deadlines and customer requirements in a streamlined, efficient manner making the process of ensuring the fire safety of your building as painless as possible. Expert consultations for fire safety. Top of the line products manufactured with fire safety compliance in mind. If you are looking for a fire suppression systems and fire extinguishers for your business in Queens, we are there to help you get up to code. Feel free to contact us for inquiries related to our services. Someone from our team will be glad to assist you with all of your questions.